Given the price of travel these days, specifically gasoline, how can you throw caution to wind and hit the road without draining your 401(k)? Consider these tips. After food and lodging, gasoline will be your biggest travel expense. With some clever planning, you can trim the cost of filling your tank. 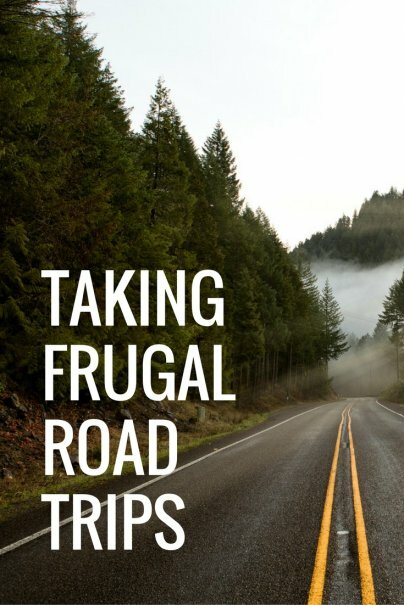 The more passengers in your vehicle during the road trip, the more ways you can split the cost of gas. But be careful. Each passenger will weigh down the vehicle, causing it to burn more fuel along the way. For every extra 100 pounds, you can expect to reduce your MPG by up to 2%. In that case, you’ll have to be smarter and lighter in your packing — unless your suitcase can suddenly pay at the pump, too. Plan your route so that you’re traveling through places (or at least not stopping to fuel up) where gas is not at a premium. For instance, if you’re driving from Baltimore to Boston, get gas in lower-price places like New Jersey instead of filling up in New York. 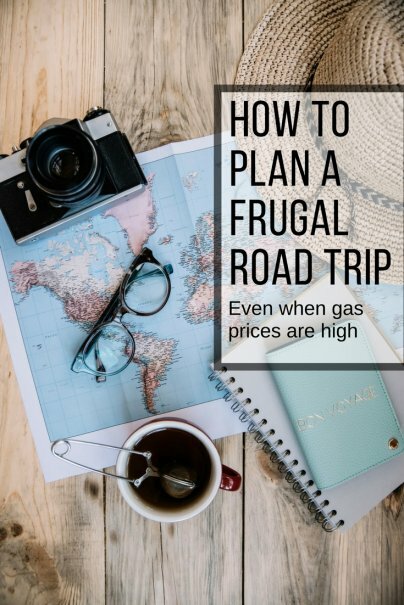 To save on gas most efficiently, avoid top-tier gas destinations altogether and plan your trip to places that are consistently affordable or less than the national average. When you’re on the road, drive responsibly. Barreling down the highway like a speed demon will only burn gas quicker. Plus, you won’t be able to enjoy the scenery along the way — which is part of the fun. If you can hack it, try to make the bulk of the trip overnight, driving in shifts if you have to. You’ll burn less gas in the cooler night hours than in the warmer daytime. You have to eat, but you don't have to eat at diners and fast food joints for every meal. Smart, spend-savvy road trippers always pack a cooler filled to the brim with food. It may not be the healthiest food, of course, but this is vacation, so you can live a little. Packing these road snacks will help you avoid fast food joints and costly restaurants at which you may be forced to dine, especially when you’re hungry in the middle of nowhere. You’ll inevitably want to eat out sometimes along the road trip — and there’s nothing wrong with that as long as it’s not every meal — but for the times that you do indulge, have a budget set so you can manage your money well the whole way. Another great way to save when eating out along your trip is to find local happy hours that offer free snacks (they’re out there) or by using discount apps like Scoutmob, LivingSocial, or Groupon for instant savings. Accept free meals when they’re offered. Like if you stop at a friend’s or family member’s house and they insist on cooking your breakfast and sending you off with sandwiches. Hit up grocery stores along the way to restock your cooler. The price of a loaf of bread, peanut butter, jelly, two bags of baby carrots, and two bags of potato chips will feed a group of four for a day for about $15. In comparison, a meal at a fast-food restaurant will cost more than $20 for four people — and that’s just one meal. Fill up your water bottles with free tap water along the way to stay healthy and hydrated. If you're an experienced road tripper, you probably already have a tent and basic camping gear. If you're really experienced, you may have an RV. If you're neither, you still have options beyond pricey motels. You’re allowed to nap in your car at rest stops. I’m not saying it’s very comfortable, and I’m not saying it’s very safe. I’m just saying. Renting a space at a campground is relatively inexpensive, but finding a secluded place to camp is free. If you plan to engage in the latter, make sure it’s not private property, which is usually designated by signs. Plan your trip to areas where you have friends and family who have space to accommodate you. Not only will it be free (hopefully), but you’ll also get to spend time with people you may not see very often. For other affordable lodging options, look into Couchsurfing (which is free) or microsubletting sites like Airbnb. The latter isn’t free, but you’ll almost always get more for your money and have a better time than at a hotel. Cash in any rewards points that you may have racked up and turn them into a hotel stay. After a week or two on the road, you’ll want at least one night of luxury. What else are you saving it for? I don’t expect that you’re driving all over the country to spend all your time looking at things from inside the car. Sometimes you’ll want to get out and explore. Plan trips to public and free sites, which are available no matter where you go — big cities and small towns alike. Purchase daily deals in advance of reaching your destination to reduce the cost of higher-end activities. Remember that some activities that tend to be popular will need to schedule you in, so it’s best to do this at least a week or two in advance so you’re not shut out at the last minute with no chance of a refund. Stop in at visitor's centers to gather information on free events and activities and scoop up valuable coupons you can’t find elsewhere. Plan your own activities. You’re on a road trip with friends. Surely you guys can come up with plenty of fun things to do together that don’t cost a dime. All you’ve got to do is put your heads together. 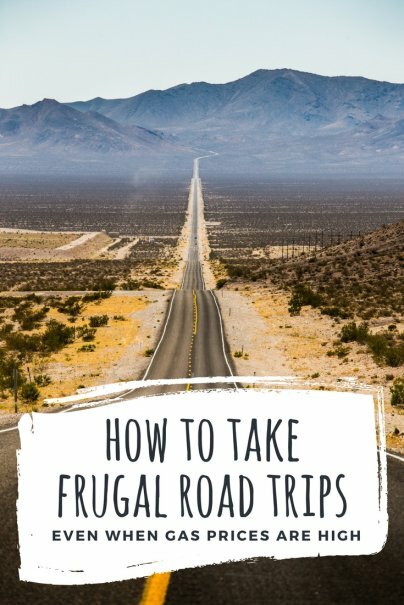 Have any more tips on how to have a frugal road trip? I agree about using reward cards. Also, when road tripping I like to get gas gift cards/restaurant gift cards at a store that gives double fuel reward points for gift card purchases. That way I can save more on fuel while driving. It might be only .10 or .20 cents off a gallon but it sure adds up if you plan on traveling a couple hours or couple states away. Excellent advice, NJ. Thanks for sharing!